New Recipe: The Best Banana Bread IN THE WORLD! 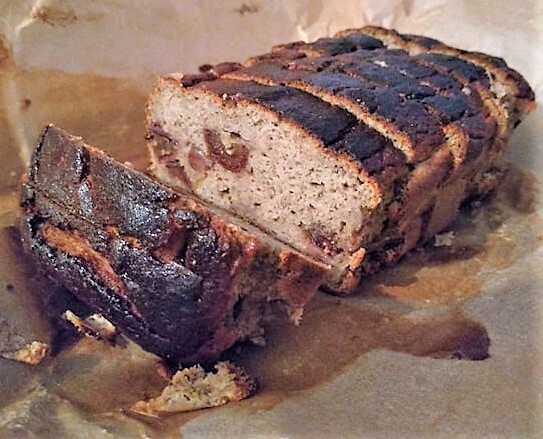 Many of my gorgeous personal training clients and Boot camp attendees are aware of a banana bread recipe I shared with them a little while back. I thought it was pretty decent...until I tried this! 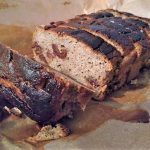 Gemma's banana bread changed my life and introduced me to one of my new favourite ingredients: Tigernut flour! Yes Tigernuts are not actually a nut, but a naturally gluten-free nutritional powerhouse that have a naturally sweet flavour - meaning you can either use far less sweetener or omit it altogether! So that's why I encourage you to try this recipe asap! The sweetness of the Tigernuts combined with the ripe bananas may not require the use of any further sweetener. However, if your palette isn't quite there yet you can include a small handful of organic pitted dates (as per the original recipe) or alternatively a tablespoon of my new favourite sweetener made from Monkfruit, called Lakanto Golden (available on Amazon). This amazing sugar substitute is non GMO, zero calories and zero glycemic - so it's safe for the diabetics and contains no nasties! Anyway, on to the recipe! I hope you enjoy it as much as I do and please let me know your thoughts once you've baked it!